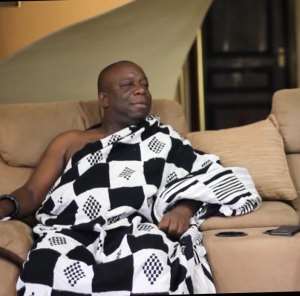 The Chief of Kwahu Tafo and Twafo Hene for Kwahu Traditional Council, Nana Kwasi Opoku Mintah II has said government must provide the enabling environment for indigenous businesses to flourish as a practical step to taming the cedi against the major trading currency, dollar. According to the chief, most of the companies in the country are operated by foreigners whose proceeds are changed into dollars and repatriated to their home country mounting pressure on the cedi. In an interview with Odame Agyare on 'On Point Show,' Nana Mintah II noted that government must cushion the local businesses by providing some reliefs to boost their production and services inorder to compete with their foreign counterparts. "The local currency is under its usual first quarter stress, because most our internal businesses are own and manage by foreigners and the cedi depreciates whenever the demand for foreign currencies, predominantly the dollar, outstrips supply. Let support internal businesses to make the cedi strong again," he intimated.